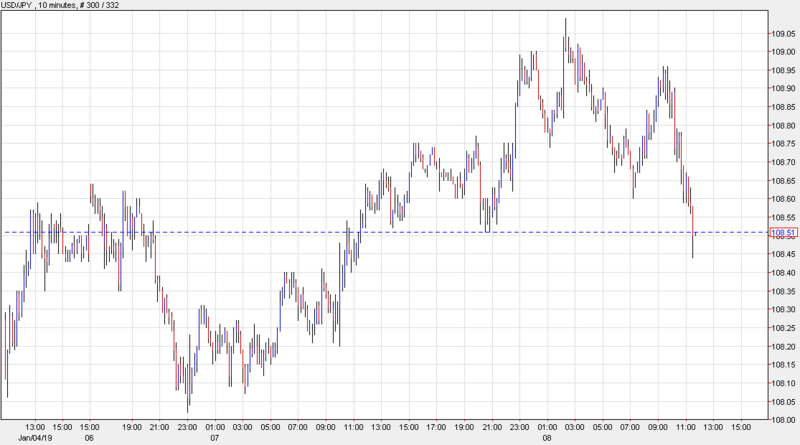 USD/JPY is at the lows of the day, down 22 pips to 108.49, as the US stock market gives back gains. The S&P 500 is up 2 points after rising nearly 30 points shortly after the open. The market had been upbeat about China talks but it's going to be a long road. There's also renewed talk about earnings next week and that's sparking some flashbacks to the rough ride during Q3 earnings. Along those lines, watch out for more warnings about China's economy from anyone who hits a soft patch.